In a press release posted to its website, Apple lists a handful of "top apps" that integrate Siri Shortcuts, an iOS 12 app and underlying service that lets users create powerful system macros with Siri integration. Apple in its release frames Siri Shortcuts as a do-all automation tool for solving everyday problems from personal productivity to staying healthy. Similar to AppleInsider's compendium of Shortcuts-compatible apps, Apple lists a few popular titles that now support the iOS 12 feature. Starting with morning routines, Apple highlights weather reports from The Weather Channel, CARROT and Dark Sky, noting users can access forecasts with voice requests like "radar," "rain report" and "UV index." With Tile integration, users can ask Siri to find their keys or wallet, while Citymapper and Transit help with morning commutes. Moving on to productivity, Evernote integration allows for quick note creation and sharing, while Day One provides access to journal entries. Fantastical incorporates deeper app control, as users can schedule and preview calendar entries. Trello, Omnifocus 3 and Things also get brief mentions. Finally, users can log calories and water intake with Lose It!, Yazio and Waterminder, check medication status with MyTherapy, track habits with Streaks and start meditation sessions with 10% Happier and Headspace. The timing of Apple's release suggests Siri Shortcuts might be off to a slow start. 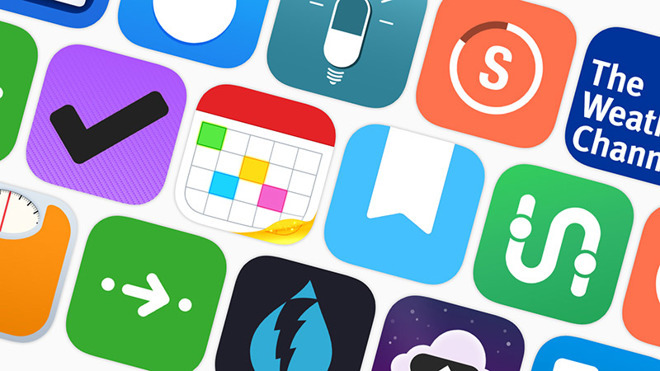 Many of the apps mentioned, including Tile, CARROT, The Weather Channel, Things 3 and others, were updated to support the feature when iOS 12 launched last month. Built on the latticework of Workflow, an iOS automation app Apple purchased in 2017, Shortcuts delivers a vast array of app and system control options through a drag-and-drop card UI. With Siri integration, the service allows users to roll their own voice prompts for apps that support the feature. The solution is extremely powerful, but its implementation can be intimidating for some. Apple attempted to break down the complex system, and introduce first-time users to the concept of automations, in a comprehensive user guide last month.